The AFC Asian Cup is a football tournament run by the Asian Football Confederation (AFC). The winning team becomes the champion of Asia and automatically qualifies for the FIFA Confederations Cup. 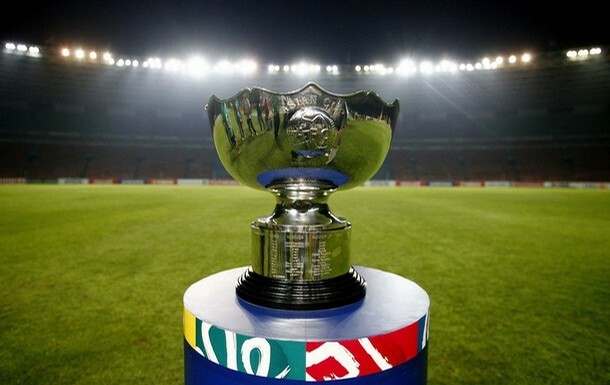 The Asian Cup had been held once every four years from 1956 until 2004. However, since the Summer Olympic Games and the European Football Championship were also scheduled in the same year as the Asian Cup, the AFC decided to move their championship to a less crowded cycle. After 2004, the tournament was held in 2007, and will be held every four years henceforth from then. The Asian Cup has been dominated by the top teams in Asia over the years, typically from East Asia or West Asia. Teams such as South Korea, Iran, Japan, and Saudi Arabia have earned a spot for themselves in the final matches almost every year. Israel, who were successful in the early competitions, now compete in Europe. Men's Association football has been an Asian Games sport since the 1951 edition. Since 2002 Asian Games, the age limit for men teams is under-23, which is the same age limit for football competitions at the Summer Olympic Games, while three over-aged players are allowed among each squad. The 2010 Asian Games are being held in Guangzhou, China from 7th to 25th November with a total of 24 teams competing in six groups of four. The competition started as the Asian Champion Club Tournament back in 1967. Eight domestic champions from eight Asian leagues competed in the inaugural season. Using the old European Cup as a model, the tournament returned to Asia during the 1985/86 season with a new name, the Asian Club Championship. From 2002/03 season the Asian Champions Cup, Asian Cup Winners Cup, and Asian Super Cup was merged into one larger competition: the AFC Champions League. Three English Premier League clubs compete against a local Asian team in this pre-season competition first staged in 2003 and held every two years thereafter. Chelsea won the 2011 competition, beating Aston Villa and Kitchee. As in recent tournaments, the AFC will have four direct qualifiers for the finals tournament in addition to a further possible place via the intercontinental play-offs against CONMEBOL's fifth-placed team. Full details of the 2010 Asian Games Football Tournament to be held in Guangzhou, China in November 2010.
by the national teams of Southeast Asia. Together with a Table of Merit. ASEAN Football Championship (formerly known as the Tiger Cup prior to 2007 and AFF Suzuki Cup since 2008). No official tournament held between countries in this region. West Asian Football Federation Championship (Although not all West Asian Countries enter).